Our main menu is served from 12noon each day. Breakfast is served at the weekends only from 11.30am. Champagne breakfast available to book! Sunday Lunch is available form 12noon - 6pm. Our passion is beautifully presented food using seasonal, locally sourced produce. 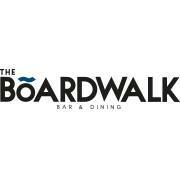 Coupled with an extensive range of wine & craft beers, The Boardwalk Bar & Dining is a perfect place to meet friends & family. We enjoyed lunch at The Boardwalk at the weekend and it was delicious. The service was spot on and I look forward to visiting again soon. A first time visit for myself, and I thoroughly enjoyed the experience. Loved the background music also from my era. Good food and very good service. Average price. Only problem is the fact that the kitchen shuts down between services at a peak eating time. Plenty of food....lovely veg. Was slightly rushed at the start but not a problem. Really enjoyed everything about our day. Wonderful evening. The waiter made us feel very welcome. Great food and well-presented in a very attractive and friendly-feeling restaurant overlooking the marina. Excellent and prompt service. Good choice of wines and beers. A brief note to the proprietors  . . . far too much on the plate. The waiter who served us was extremely chatting and friendly and really gave us a good giggle over lunch. He is a credit to your establishment. Not doing any tables for 2 by the window, despite being the only people in there. Requested additional ketchup but this never came. A little lacking in atmosphere. More main options would be nice? We were a little disappointed with the menu for dinner, we personally feel that The boardwalk is more for a lunch time option rather than evening meal. The service wasn't great  had to wait lengthy periods for food to come out and didn't have three options available on the menu. We had to ask for another drink after waiting some time without a drink. There was a large party dining this particular night that had pre ordered food, if that was the case, you should have anticipated a higher quantity of popular dishes such as the sea bass as we were told they'd ran out. Table squeezed in where there was little space. Staff nowhere to be seen when we were ready for dessert. Waited some time then got up and waited by the till to pay. Very nice wine and cocktails. Attentive friendly service. Good portion sizes. Would recommend the sweet potato fries rather than the chunky chips. Had a really lovely meal, staff friendly & helpful but not intrusive. Our main courses were really good, only disappointment was our starters - we had chicken wings & calamari, both were disappointing (wings were dry and over cooked, squid was very overdone). Otherwise, we had a lovely meal. First time at the Broadwalk and it was absolutely lovely! Staff were really friendly, helpful and accommodating. Lovely atmosphere in the bar and dining area. Food was tasty, lots of flavour and nice size portion (saved room for desert) drinks and food were reasonably priced. Would definitely recommend for a drink or dinner! Tom, our waiter, was courteous, attentive without being intrusive, friendly and efficient. The food was delicious and the menu choices  wide and varied. I had a lovely lunch with my brothers and sister, great service fabulous food and such a lovely venue. The staff are great, as are the cocktails and there's something on the menu to please all. Thanks for another lovely lunch! The food was quite expensive for what you got. You can pay the same price for a much nicer and somewhat larger portion of a kebab/yakitori stick down the road at the bulls head. However, the food received was nice still. Atmosphere was very quiet for a Saturday night, which also made me a little wary here as I have been before now and it’s been so busy so not sure if somethings happened to change that recently. Brilliant service, great tasting food, good atmosphere. Have already recommended to friends and family. Looking forward to my next trip. Enjoyed a lovey meal after our boat trip on the swan. We had our son and daughter in law and two young grandchildren with us. The upstairs restaurant is very child friendly only niggle was length of time waiting for desserts and children were starting to get very restless but we could see that you were very busy. Many thanks. I had heard great things about The Boardwalk...but I was so disappointed. Atmosphere was good, our waiter was great but the food was awful and overpriced. I ordered tapas and the salad didn’t come with the croutons it was supposed to. A friend’s chicken dish was over cooked and my other friend couldn’t stomach the lamb kofta. We were the last table to be served before final orders were submitted to the kitchen but that’s no excuse. 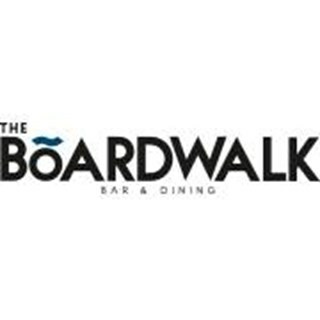 The Boardwalk needs to up its game and lower its prices if its to tempt me and my friends back.